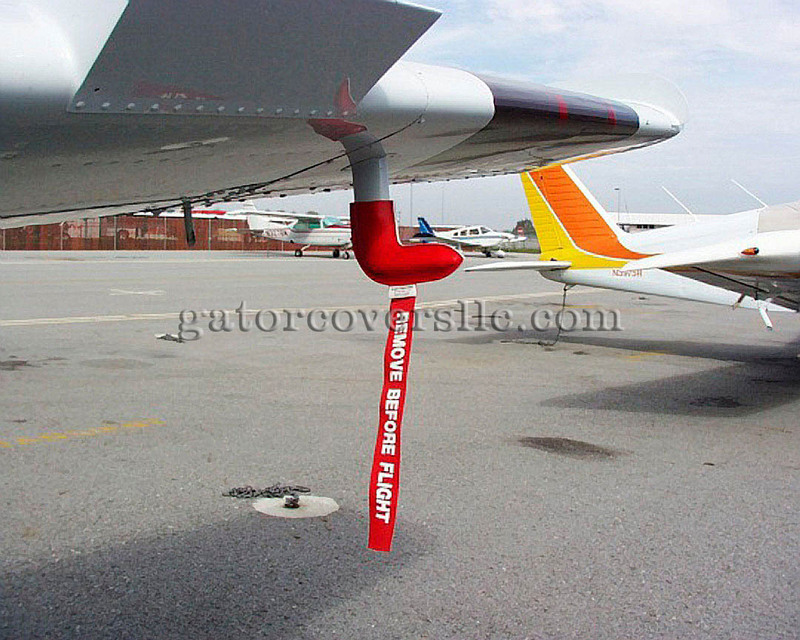 Prevents bugs and debris from entering the pitot tube while the airplane is parked. Made of Naughahyde vinyl, these covers are designed to cover the entire pitot assembly. Slipping on over the tube, the cover tightens around the base with a special Velcro strap detail. A "remove before flight" streamer is attached to the cover. Pitot Covers designated as non-burning are designed to withstand more than 500 degrees Fahrenheit, and will prevent the pitot cover from melting onto the tube if the pitot heat is accidentally turned on with the pitot cover attached.